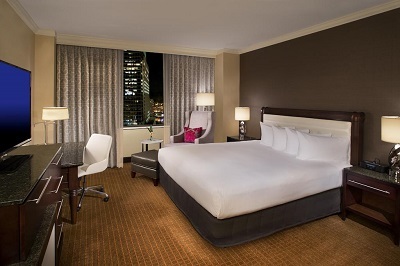 The Hilton is located in Central Downtown Minneapolis with a view of the Mississippi River (12 miles from the MSP Airport). 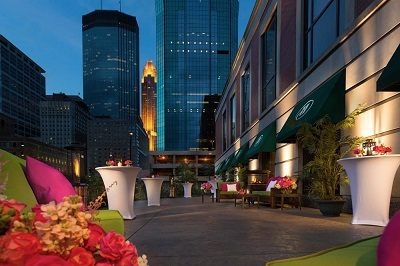 Downtown Minneapolis offers a diverse selection of award winning restaurants, activities, and points of interest within walking distance of the conference venue. Take Highway 5 East to 62W to 35W North and follow ''Downtown Exits''. Exit at 11th Street and stay in the right-hand lane. The Hilton is located on the corner of 11th Street and Marquette Avenue. Distance from Hotel: 12 miles. Drive Time: 20 minutes. Accessible from both the Humphrey and Lindbergh Terminals at the Minneapolis/St. Paul International Airport. Follow signage towards “ground transportation”. Route 55 services downtown and runs every 7.5 minutes during rush hour and 10-15 minutes during non-rush hour. Travel time is approximately 25 minutes and fares vary between $1.75 - $2.25. Proceed to the Nicollet Mall Station (5th Street & Nicollet). Walk 5 blocks down to 10th st. Hotel is located on corner of 11th Street and Marquette Avenue.